The Church of Scotland held its annual General Assembly from 19-25 May 2018 at the General Assembly Hall on the Mound in Edinburgh. 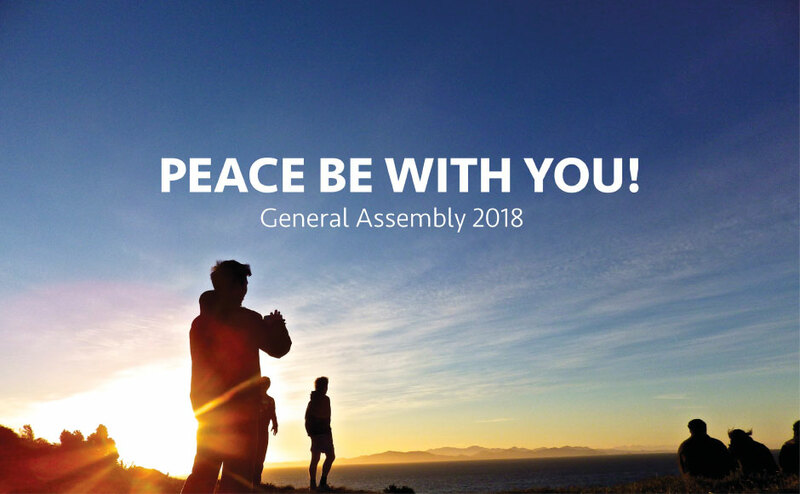 The theme for the General Assembly 2018 and for the Heart and Soul festival was 'Peace be with you'. More than 730 commissioners from congregations across Scotland and more than 150 people from associated partners and other organisations came together to take part in debate, tradition and worship. 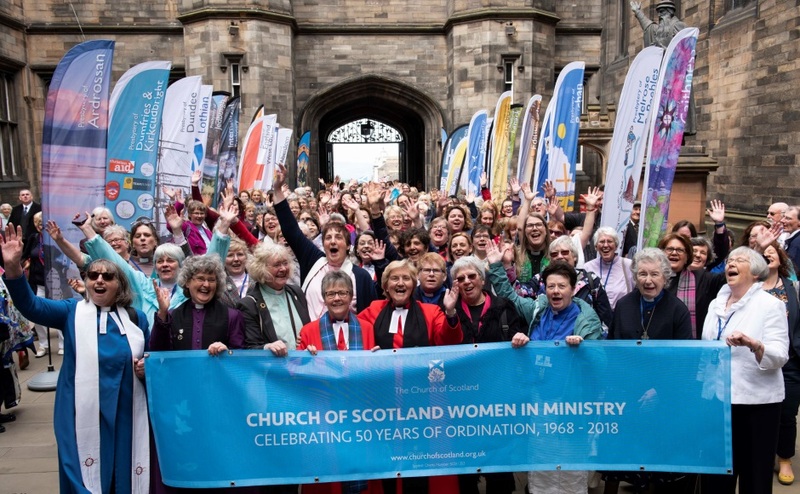 Around 500 women ministers and their supporters brought traffic to a standstill in Edinburgh on Tuesday 22 May as they marked the 50th anniversary of a historic decision to ordain women to the ministry of word and sacrament. The Blue Book contains the council and committee reports commissioners need to take part in the General Assembly discussions. Rt Rev Susan Brown was installed as Moderator of the Church of Scotland’s 2018 General Assembly during the opening ceremony. Each year HM The Queen appoints a Lord High Commissioner as her representative to the General Assembly, unless she attends in person. This year, Her Majesty has appointed His Grace Richard Walter John Montagu Douglas Scott, The Duke of Buccleuch and Queensberry, KBE, DL, FSA, FRSE. Heart and Soul returned on Sunday 20 May, 2018, in Princes Street Gardens, Edinburgh. We welcomed Powerpoint Scotland to host our first ever youth event as part of the Heart and Soul weekend. They were joined by multi-award winning electronic dance music act, LZ7 for an evening of high energy worship and music.